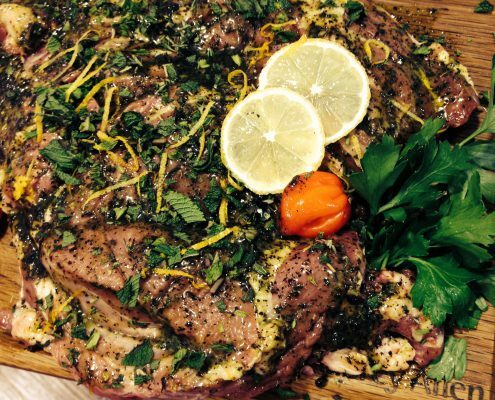 Welcome to the Delicatessen of the Year! 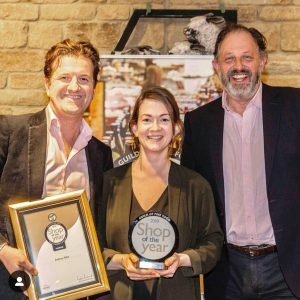 We’re delighted to announce that we were crowned Delicatessen of the Year at the Guild of Fine Food ‘Shop of the Year’ awards in March. Judges commented that there was ‘so much to recognise in this business’ and they loved ‘how they seem to be constantly striving to better themselves’ – well done team! 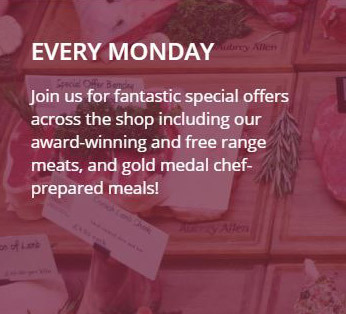 Join us for fantastic special offers across the shop including our award-winning and free range meats, and gold medal chef-prepared meals! 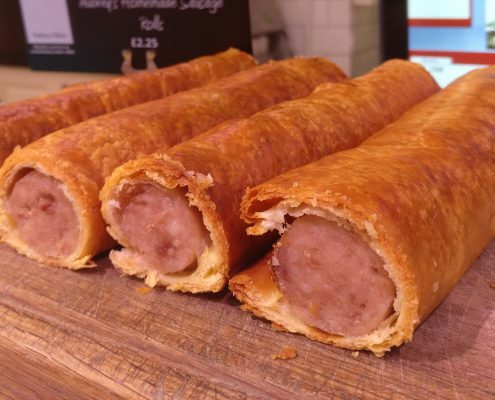 …is Sausage Wednesday! 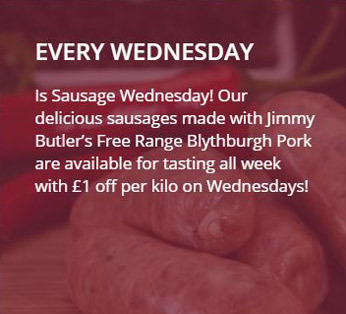 Our delicious sausages made with Jimmy Butler’s Free Range Blythburgh Pork are available for tasting all week with £1 off per kilo on Wednesdays! 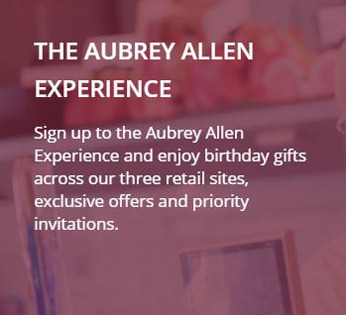 Sign up to the Aubrey Allen Experience and enjoy birthday gifts across our three retail sites, exclusive offers and priority invitations. 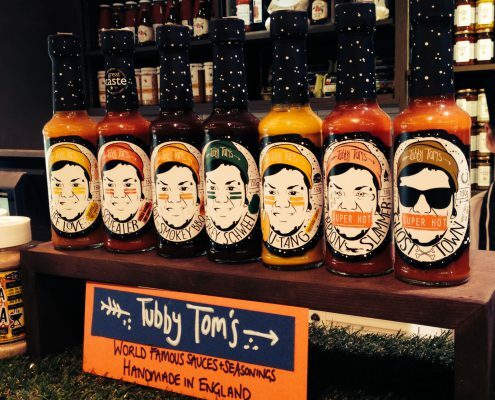 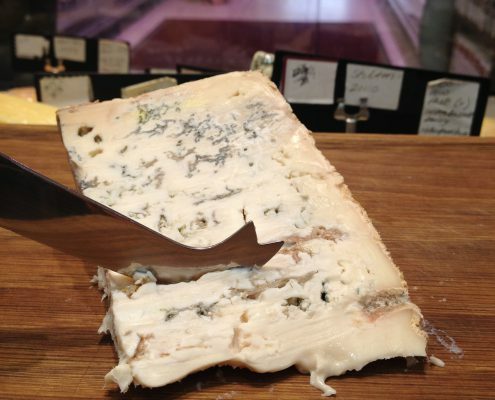 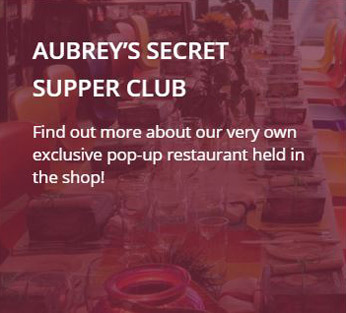 Find out more about our very own exclusive pop-up restaurant held in the shop! 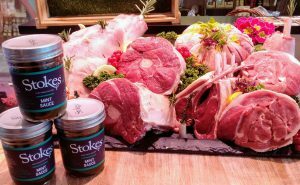 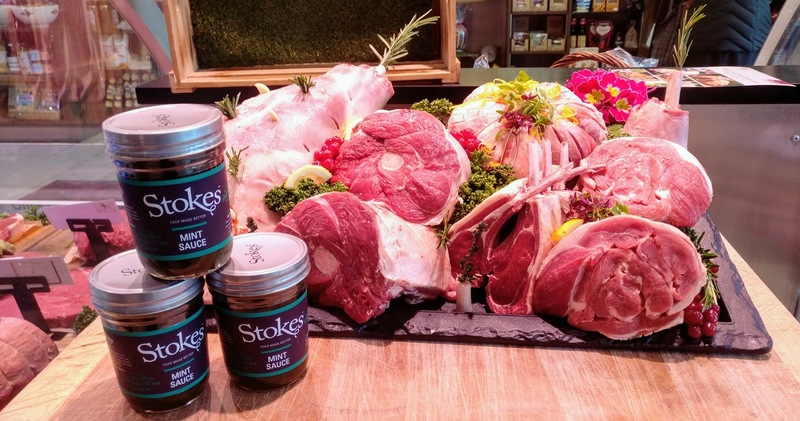 Our Master Butchers Simon Kelly and Martin Crombie will teach you some great practical skills and help you get more from the meat you buy from Aubrey Allen.